This tutorial is here to help people get started with the Logitech G29 or G920 racing wheel. The function of these wheels is very similar to the older Logitech G27 racing wheel. You will probably want to take a look at my Logitech G27 Calibration and Settings page also, as there is some information there that you won’t find here. As I said on my Logitech G27 tutorial, if you like a lot of FFB, or if FFB is very important to you, you might want to try the Thrustmaster TX, the Thrustmaster T500RS or better still, a Fanatec wheel and pedals setup. I’m going to show you here how I have my G29 racing wheel set up in the Logitech Gaming Software. For the settings that are recommended by iRacing, please refer to my Logitech G27 Calibration and Settings page. Also refer to that page for my racing wheel settings inside the iRacing simulation. Sometimes a couple of things can happen. If you’re familiar with the software already you know what to do here. Just in case you are not familiar with the software and you’re a little stuck or can’t quite figure out how to get to your wheel settings, read on. You might see a window like this, maybe showing a keyboard or a mouse. Of course we don’t really want to fool with the keyboard or mouse right now, so click the blue arrow on the bottom left to change the input device. Click it until you see a picture of your wheel. Now we’re in business. Click one of the highlighted buttons on the big picture of the wheel. Now you should see this. Make sure iRacing HUD is selected at the top. If you don’t see iRacing HUD, you might try opening the iRacing simulation one time to see if it populates. I really don’t remember how this is set, but I know it was there when I opened the Logitech Gaming Software application. Don’t set up the buttons in here. Use the iRacing simulation to do that. What you will want to do is double-click Steering Wheel near the top center. That will take you to your actual wheel settings. You will see this. Now that you’re there, you decide how you want your wheel set. I left everything at default except the Wheel Operating Range (rotation). I race almost exclusively on dirt ovals and I find 270° to be a good place for me and it works well on short asphalt ovals as well. It makes the wheel much more sensitive than the 900° that iRacing recommends. 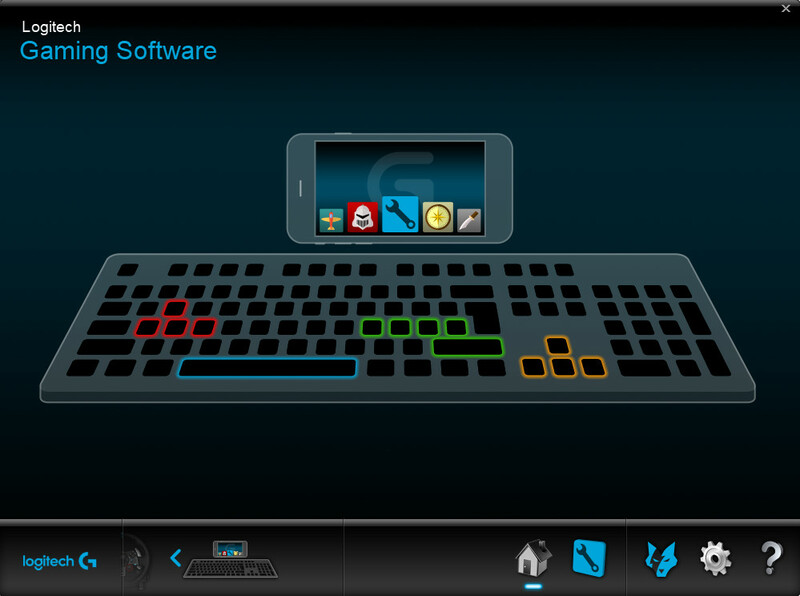 For full details on this see the page on my Logitech G27 settings. 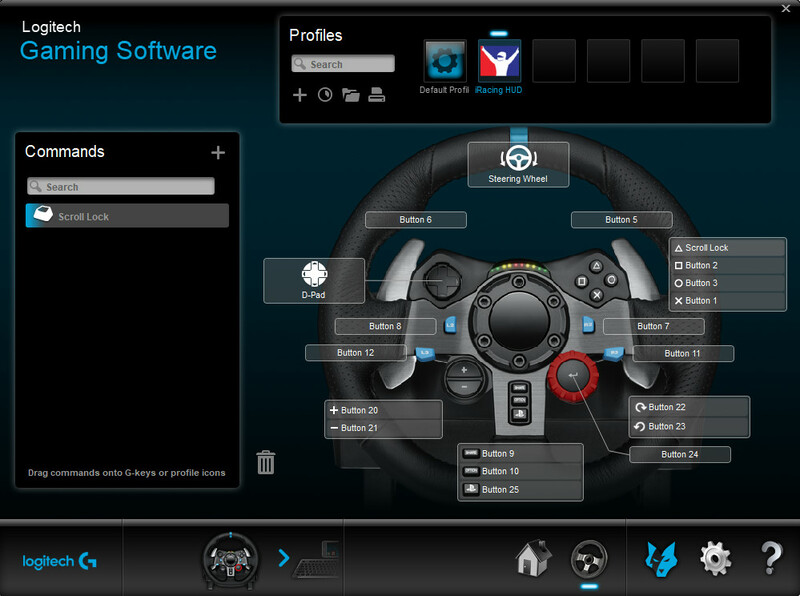 The software looks different but I also used these same settings on my Logitech G27 racing wheel. I also provide details for the settings I use in the iRacing simulation on my Logitech G27 page. That’s all I have for this Logitech G29 and G920 iRacing setup tutorial. If you have any comments or questions, feel free to leave a reply below or join me in Discord. I have a G920. What settings do you recommend in game? Mine are currently. Do I need to change those to 270 as well or will the profiler adjust it accordingly? Thanks for any help.